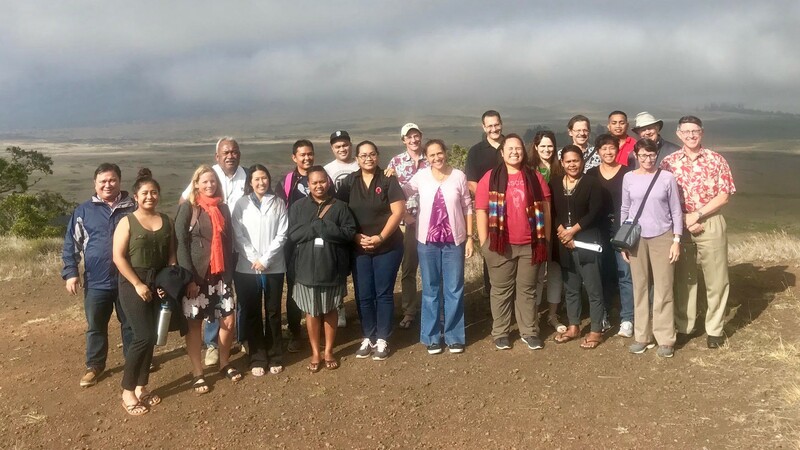 The Islands of Opportunity Alliance is a network of higher education institutions from Hawai‘i and 10 Pacific Island nations with a mission to expand access to careers in STEM fields for underrepresented populations. 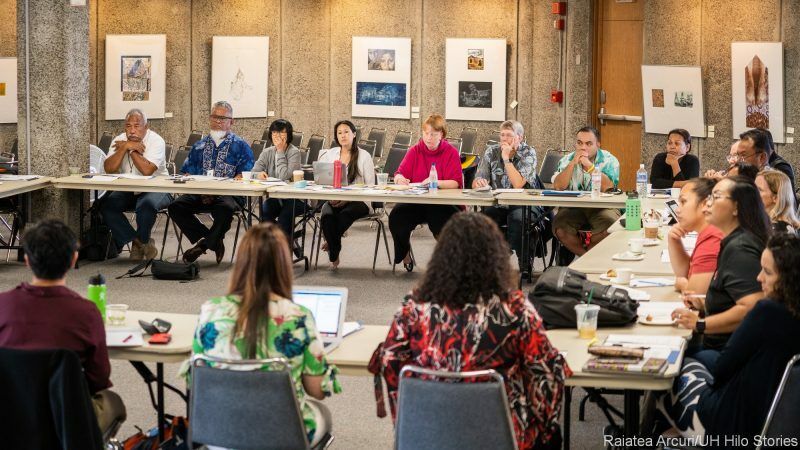 The Islands of Opportunity conference was attended by approximately 30 participants from across the Pacific region, including campus coordinators and administrators from each of the 11 alliance institutions, as well as the governing board, two external advisory boards, and an external NSF evaluator from Washington D.C. Jan. 11, 2019, UH Hilo campus. 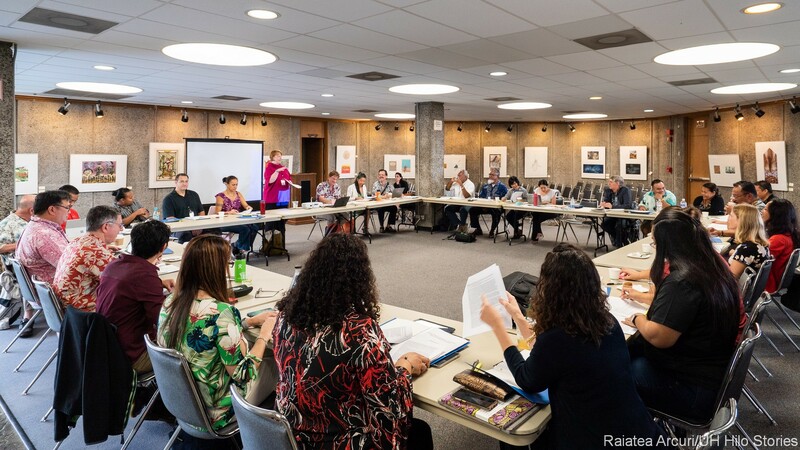 Photos of conference session by Raiatea Arcuri, click to enlarge. The University of Hawai‘i at Hilo hosted a two-day conference of educators from Hawai‘i and 10 Pacific Island nations working toward encouraging students from underrepresented populations to pursue careers in science, technology, engineering and math, commonly called STEM. 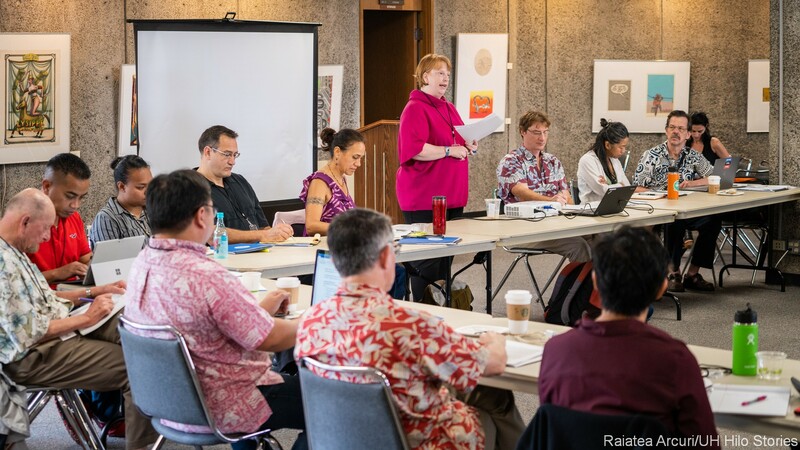 The conference was held Jan. 10 and 11 on the UH Hilo campus. 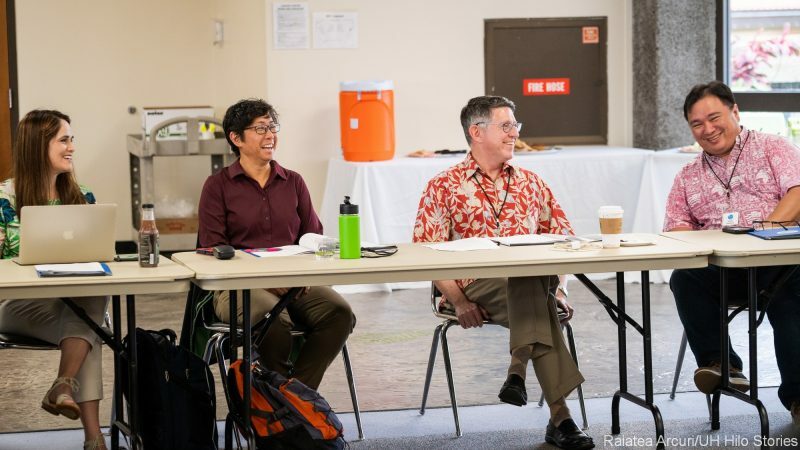 At the 2019 annual conference, the Islands of Opportunity Alliance (IOA), which is led by the Office of the Chancellor at UH Hilo, kicked off their 2019 STEM mentorship programs, which are funded by $600,000 of a continuing $4 million grant from the National Science Foundation (NSF). Topics at the conference included inter-campus programs, curriculum enhancements, student learning communities, peer tutoring, enrichment through research experiences, the promotion of STEM graduate degrees and employment, institutional support, and sustainability plans, among other discussions and presentations. Since its inception in 2006, the alliance has developed as a network of higher education institutions in the Pacific region within the Louis Stokes Alliances for Minority Participation (LSAMP) program, which was launched by the NSF in 1991 with a mission to encourage and facilitate access to careers in STEM fields for underrepresented populations. The program is particularly aimed at encouraging students from two-year programs to continue their education at four-year institutions. 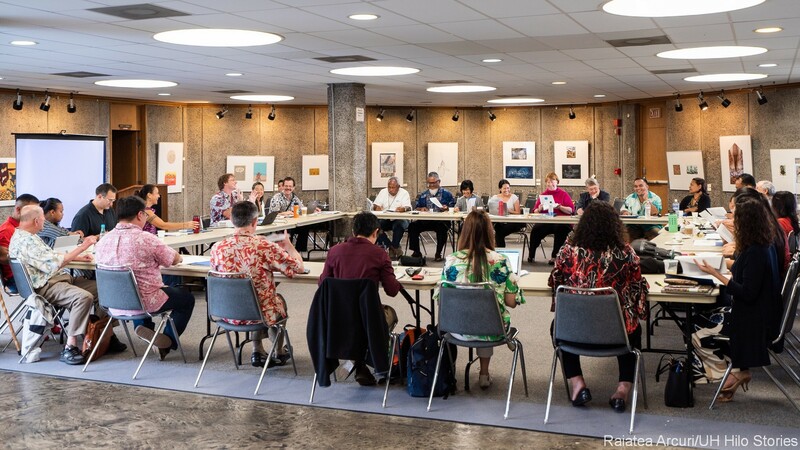 UH Hilo serves as the administrative hub of the Islands of Opportunity Alliance, which includes 10 other partner institutions in American Sāmoa, Guam, Hawai‘i, Palau, the Federated States of Micronesia, the Marshall Islands, and the Northern Mariana Islands. 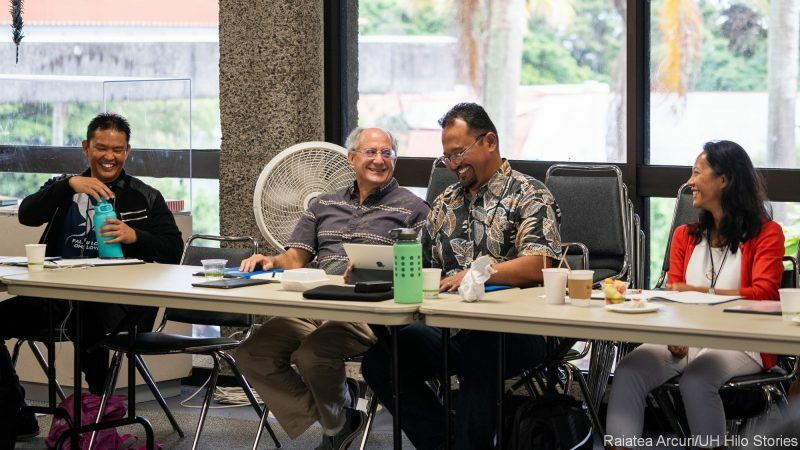 The conference was attended by approximately 30 participants from across the Pacific region, including campus coordinators and administrators from each of the 11 alliance institutions, as well as the governing board, two external advisory boards, and an external NSF evaluator from Washington D.C.
Joseph Genz, an associate professor of anthropology at UH Hilo, serves as IOA project director. 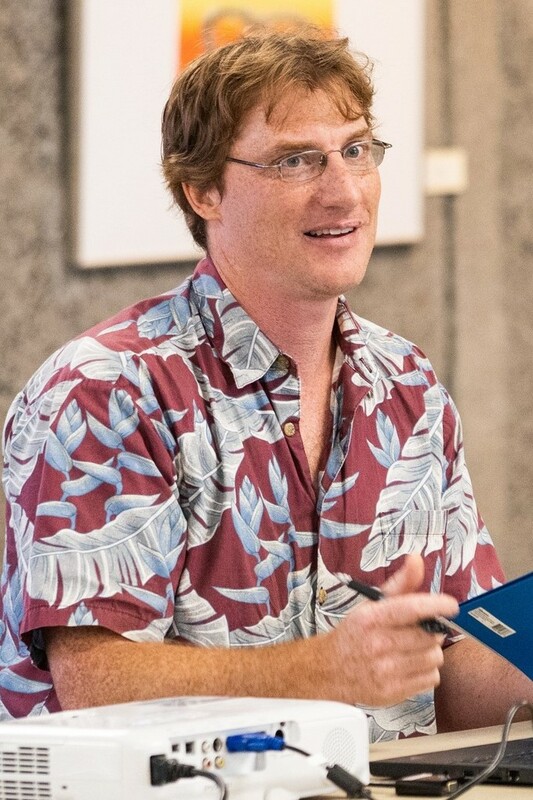 The alliances’s day-to-day operations are handled by Mārata Tamaira, IOA project manager based at UH Hilo. Genz says the main goal of the alliance is to increase the number of underrepresented minority students, with a focus on Native Hawaiian and Pacific Islander students who graduate with baccalaureate degrees in STEM disciplines with strong research experiences and then go on to pursue graduate degrees or enter a STEM career back in their local communities. Most of the funding at UH Hilo is used to support students in the Keaholoa STEM Program, which is now funded completely through LSAMP. This year the alliance is strengthening ties between alliance members. ‘Awa ceremony with visiting alliance members, Jan. 11, 2019. Courtesy photo. 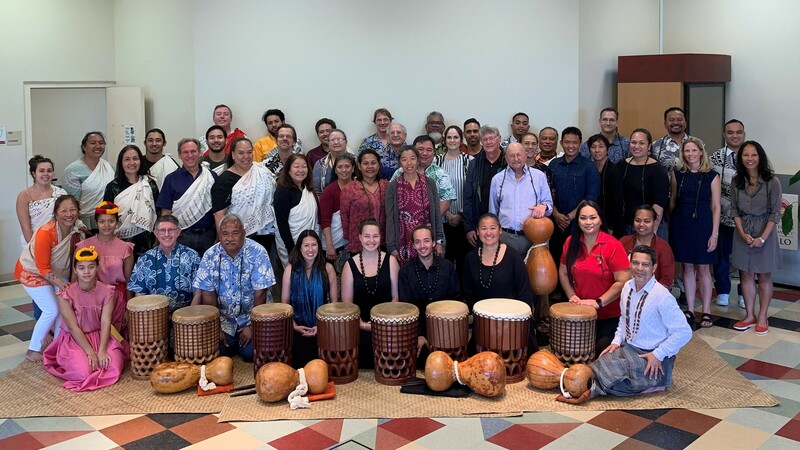 One challenge facing the alliance is how to supplement Western STEM training models with Pacific culture-normed understandings of motivation, attainment, and success. 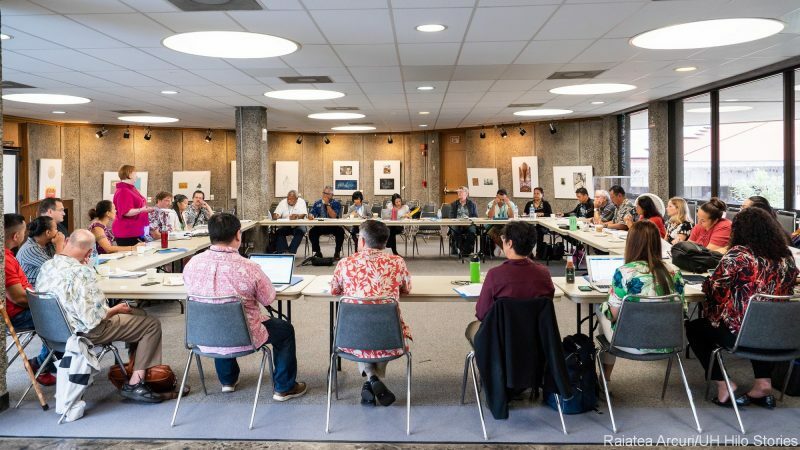 Genz notes that Hawaiians and Pacific Islanders descend from cultural heritages that have traditionally pursued indigenous forms of science and technology, including astronomy, agriculture, aquaculture, environmental management, marine science, climatology, biology, and architectural engineering. 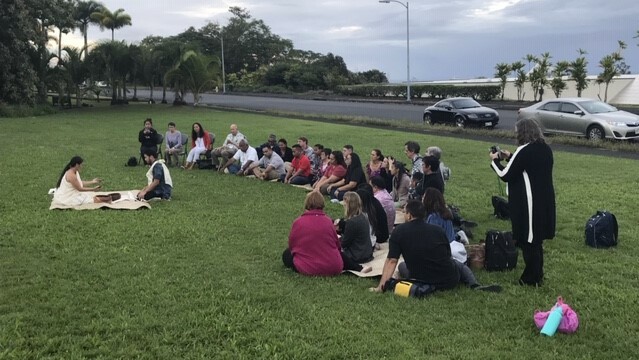 A kīpaepae welina (traditional welcome) was held for the visiting Islands of Opportunity Alliance members on Jan. 10, 2019. Courtesy photo. 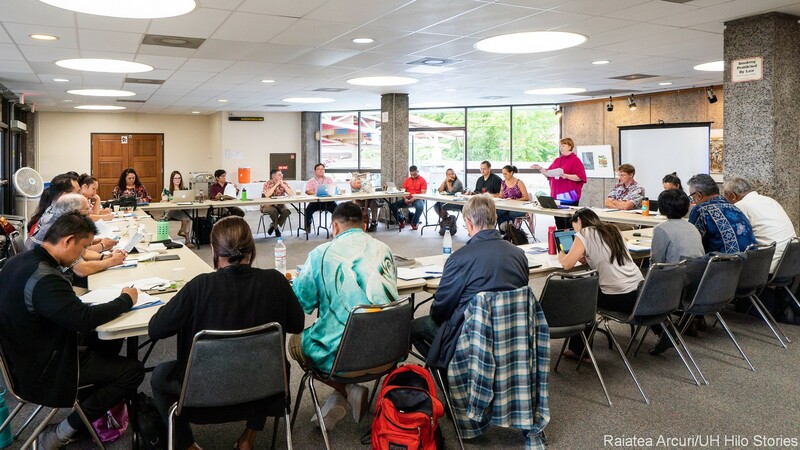 The broader vision for the alliance is to build on this legacy of scientific engagement through culturally-resonant STEM education initiatives that integrate traditional knowledge systems while also embracing Western scientific ways of knowing. Genz also praises UH Hilo’s Pacific Internship Programs for Exploring Sciences (PIPES) program for the way it has successfully invoked kuleana, a Hawaiian concept of shared responsibility that inspires students to do work that is meaningful and useful to their communities. Visiting alliance members and hosts on excursion, Jan. 11, 2019. Courtesy photo. About the photographer of the conference session: Raiatea Arcuri is a professional photographer majoring in business at UH Hilo. He was awarded USA Young Landscape Photographer of the Year 2016 (read his blog post about the winning photograph).